Traditional Celtic designs set with translucent amber. 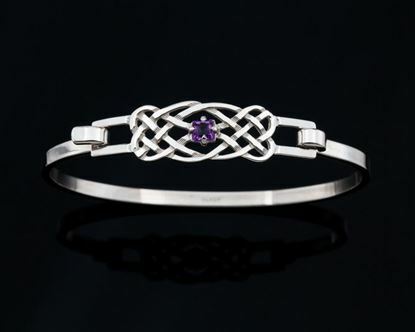 Designs include the never-ending line of Celtic knot-work – “the line of life”. 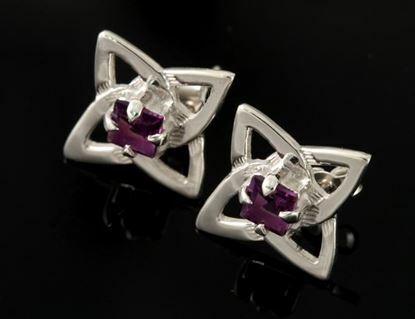 Celtic Earrings drop 15 mm set with facetted amethysts.